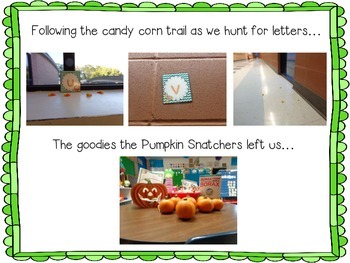 Children will love the adventure of tracking down the Pumpkin Snatchers. 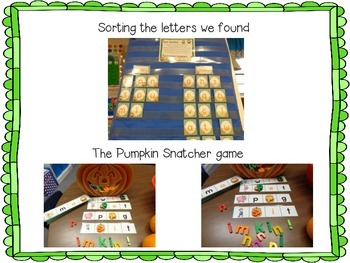 The Pumpkin Snatchers will send your class on a mission to find the letters they love to eat. 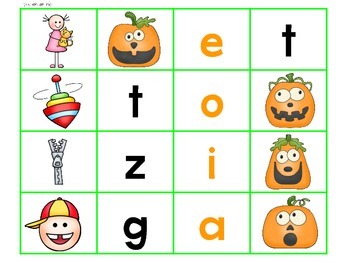 After finding all of the letters, children will then have the opportunity to use Elkonin boxes to stretch out words and isolate beginning, medial, and final letter sounds. 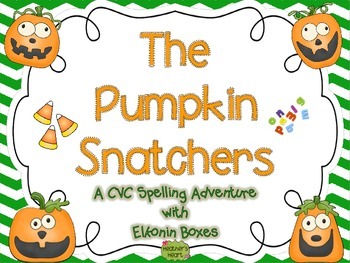 Finally, children will make Pumpkin Slime using the recipe the Pumpkin Snatchers leave you!